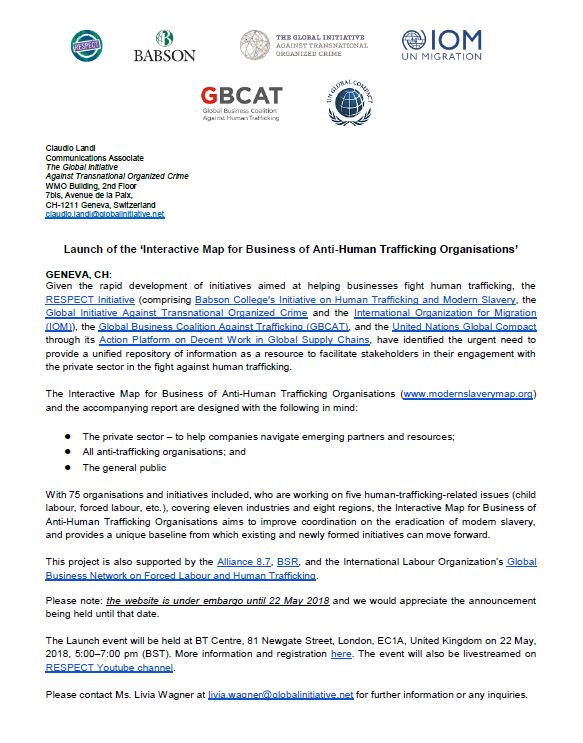 string(1232) "Events > News & Analysis > Launch of the Interactive Map for Business of Anti-Human Trafficking Organisations"
This project is also supported by the Alliance 8.7, Business for Social Responsibility (BSR) and the International Labour Organization’s Global Business Network on Forced Labour and Human Trafficking. 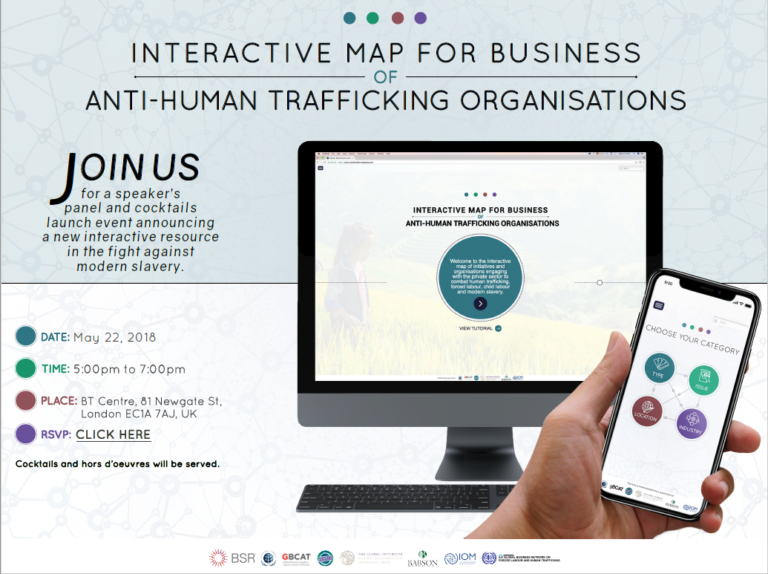 The Launch event was held at BT Centre, 81 Newgate Street, London, EC1A, United Kingdom on 22 May, 2018, 5:00–7:00 pm (BST). The event was also livestreamed on RESPECT Youtube channel. Please contact Ms. Livia Wagner at livia.wagner@globalinitiative.net for further information or any inquiries.